I wonder what is the static pressure drop now that the shroud has been removed (edge of fan blades are exposed). Well I don't have any professional equipment to test with. From what I can tell though, is the seem to perform very well. 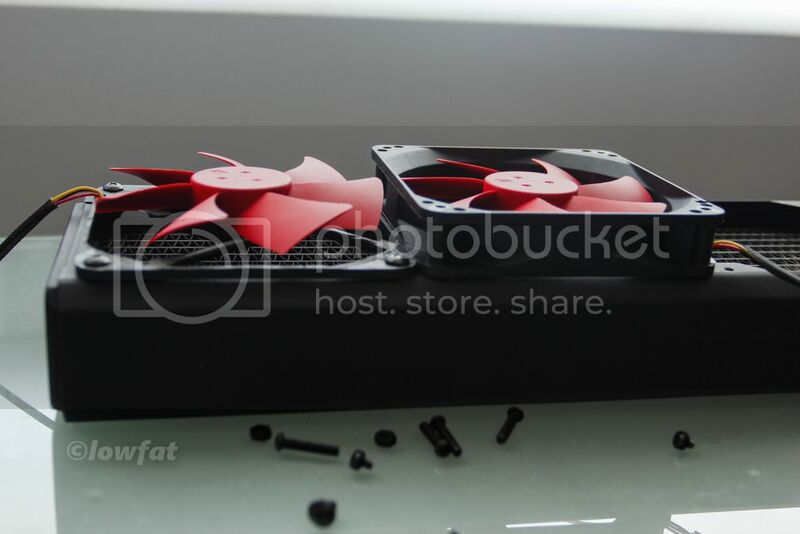 On a side by side test each fan feels and sounds the same. I don't feel any air being pushed out to the sides. I think blade and motor design are more important to static pressure than directed airflow. I actually tested a shaved fan w/o a shroud and still the majority of the air was being pushed straight down through the radiator. I have tested the three GTs on the 3x140mm radiator and even @ 5V there is sufficient air going through the radiator. 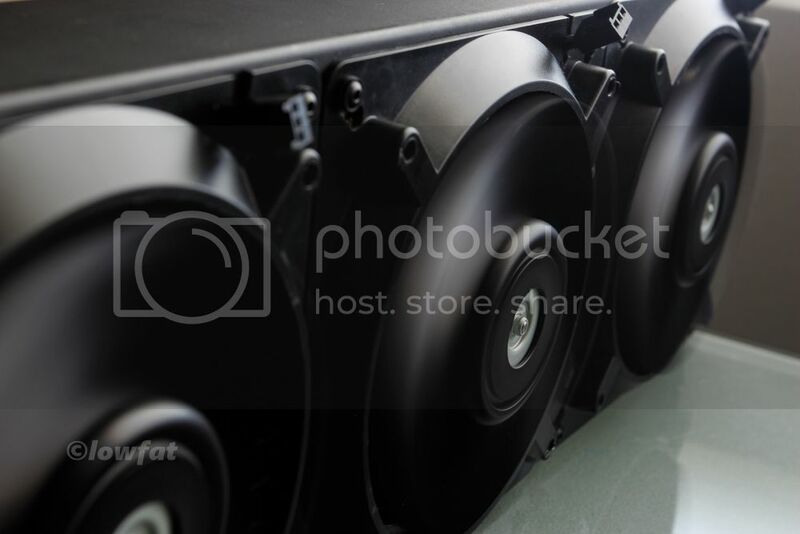 Interesting since ducted fan performance is just that. 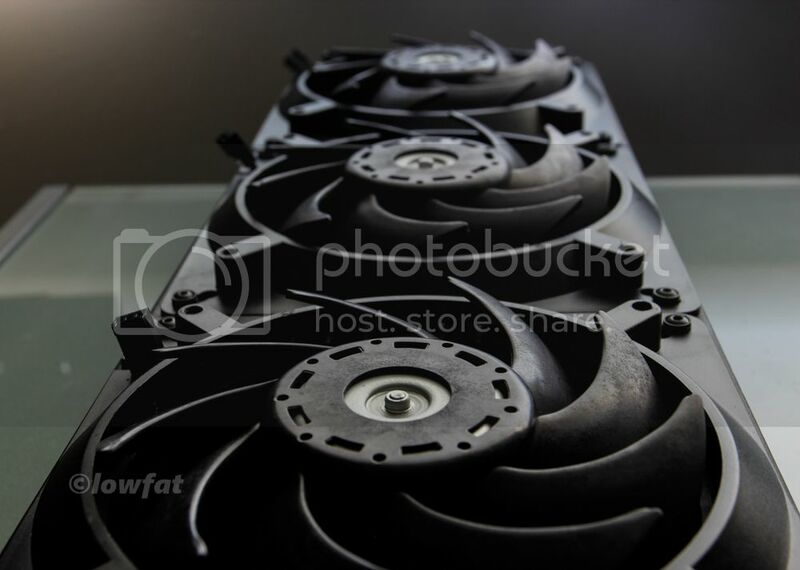 Could you test using the radiator and 2 sets of fans (with and without), and the temperature of the loop to compare with? Very nice design you have there. What is the average temperature when in use? I currently don't have a liquid cooling system on my machine, but the average temperature is around 30-40.C (and it's overclocked). My loop is relatively overkill so I doubt there would be a measurable difference in temperatures. However I will try just a one fan / single rad test w/ the fan in the near'ish future. Mailman was good to me today. Free virtual cookie if you know what is is. I don't know the model (Intel? ), but pretty much. 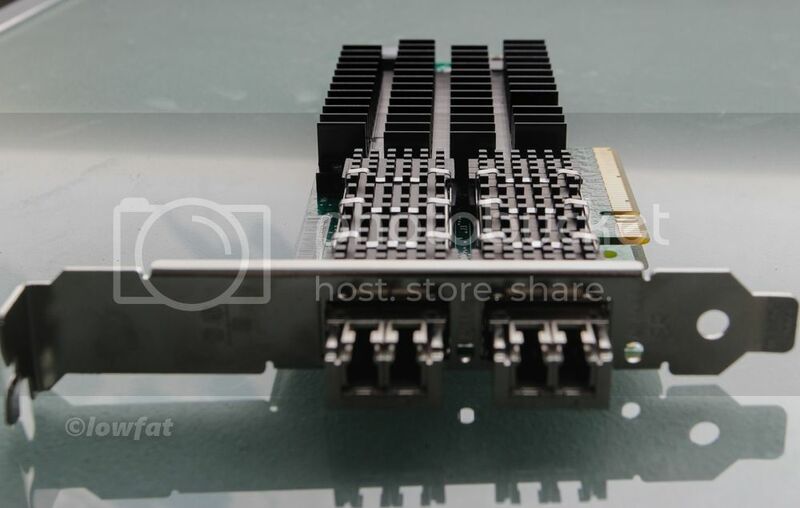 Seems like 2x LC duplex connectors. iSCSI SAN in your future? And thanks if you ever come about testing the fan. I'm intrigued. 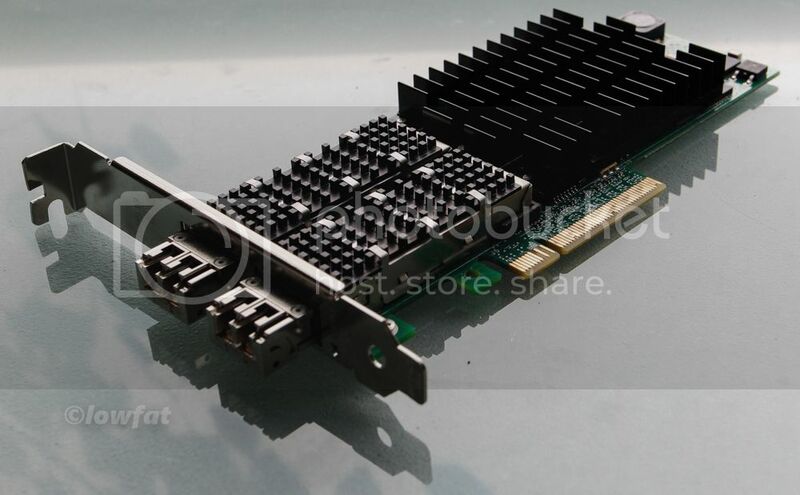 Ya it is a 10 GbE Intel NIC w/ LC fiber connections. Should be fast.